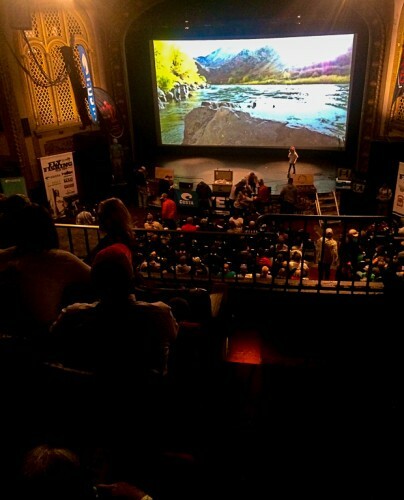 The f3t Fly Fishing Film Tour came to Missoula this past weekend. 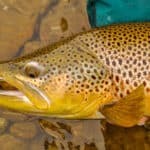 It is one of the most highly anticipated fishing events of the year. 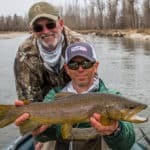 The timing is perfect because most Montana anglers are going a little stir-crazy by late January and it’s a great excuse to get toghether with fishing buddies for some entertainment. It’s not as good as actually going fishing, but it’s a close second. Over the years it has grown into an all afternoon affair. 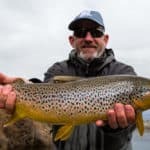 The local fly shops offer big sales to go along with food and drink, and it’s hard to beat the pulled pork and free Big Sky Brewing beers at the Grizzly Hackle fly shop. The crowd has evolved over the years too, and includes just about everyone. I sat next to a new mother and her infant son while there was a row of older very seasoned anglers behind me. 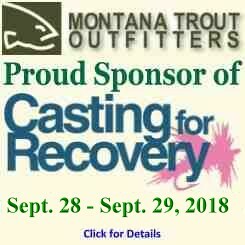 Of course, fly fishing guides and the 20 something crowd is always well represented in Missoula. I have a great time at the Film Tour each year. It’s a fun night out on the town with a lot of other fishy folks. But the responses in the following days are similar each year. I always hear, “It was OK.” That basically sums up my feelings too. On a whole it was just alright. Most years there is a film or two that stands above the rest. Those films all have something in common, they contain the best fish/fishing footage. These film makers are all trying to tell a captivating story, and I understand that, but the star of the show is the fish and a lot of the films in recent years have been damn stingy with the fish footage. 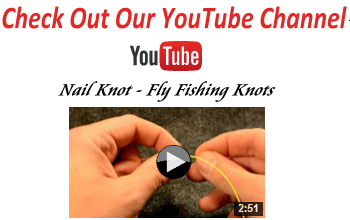 The crowd instantly erupts when a big trout eats a dry, a jack demolishes a popper, or a tarpon cartwheels in the air. When there is too much story and not enough fish, the line for beer gets longer in the lobby and the chatter in the theatre gets louder. I won’t go into the specifics of this years films in case you haven’t seen them yet, but the first one will have you one the edge of the seat wanting more….then you’ll be waiting awhile. 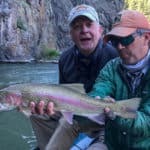 That unbelieveable fish footage is incredibly hard to get. Perhaps that is why it’s so rare. Maybe the f3t crew purposely wants a wide variety of films. I’m not sure, but if I’m trying to sell tickets and book new show dates I’m putting in as much of the stuff that makes the crowd go nuts as possible. 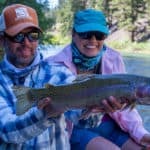 With that said, the f3t Fly Fishing Film Tour is absolutely worth going to. This year there are a couple of solid films with local boys Montana Wild putting together a quality effort. It’s a night to hang out with your buddies, drink some brews, and see some fish flicks. Just grab a seat on the aisle, it makes it much easier to jump in the beer line when the story overtakes the fishing.